Egzersiz reçetesi her yaş ve cinsiyete uygulanabilir. Kişiye özel düzenlenmelidir. Egzersizin tipi, yoğunluğu, süresi, sıklığı ve sürdürülebilir olması egzersiz reçetesi düzenlenirken göz önünde bulundurulması gereken noktalardır. Kayapınar Ç.F. Physical activity levels of adolescents. Procedia-Social and Behavioral Sciences. 2012;47:2107-13. Franklin BA, Whaley MH, Howley ET. “ACSM’s guidelines for exercise testing and prescription”. 6th ed. USA, Lippincott Williams&Wilkins. 2000;137-43. Pollock ML, Gaesser GA, Butcher JD, et al. The recommended quantity and quality of exercise for developing and maintaining cardiorespiratory and muscular fitness and flexibility in healthy adults. Med Sci Sports Exerc. 1998;30(6):975-91. Barnard RJ, Gardner GW, Diaco NV, MacAlpin RN, Kattus AA. Cardiovascular responses to sudden strenuous exercise: heart rate, blood pressure, and BCG. J Appl Physiol. 1973;34:833-7. Barnard RJ, Mac Alpin R, Kattus AA, Buckberg GD. Ischemic response to sudden strenuous exercise. Circulation. 1973;48:936- 42. Foster C, Anholm JD, Hellman CK, Carpenter J, Polock ML, Schmidht DH. Left ventricular function during sudden strenuous exercise. Circulation. 1981;63:592-6. Foster C, Dymaond DS, Carpenter J, Schmidht DH. Effect of warm-up on left ventricular response to sudden strenuous exercise. J Appl Physiol. 1982;53:380-3. Chesler RM, Michielli DW, Aron M, Stein RA. Cardiovascular responses to sudden strenuous exercise:an exercise echocardiographic stugy. Med Sci Sports Exerc. 1997;29(10):1299-303. Stein RA, Berger HJ, Zaret BL. The cardiac responses to sudden strenuous exercise in the postmyocardial infarction patient receiving beta blockers. J Cardiopulm Rehabil 1986;6:336-42. Frainklin BA, Stoedefalke KG. Games-as-aerobics: activities for adult fitness and cardiac rehabilitation programs. 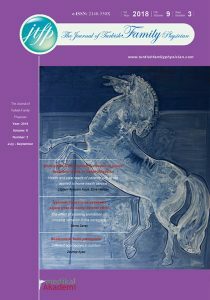 In “Current issues in Cardiac Rehabilitation: Training Techniques. Champaign”. (ed) Fardy PS. IL, Human Kinetics. 1998;106-36. Belcastro AN, Bonen A. Lactic acid removal rates during controlled and uncontrolled recovery exercise. J Appl Physiol. 1975;39:932-6. Dimsdale JE, Hartley H, Guiney T, Ruskin JN, Greenblatt D. Postexercise peril: plasma catecholamines and exercise. JAMA. 1984;251:630-2. Haskell WL. Cardiovascular complications during exercise training cardiac patients. Circulation 1978;57:920-4. Swain SM, Leutholz BC. Heart rate reserve is equivalent to VO2 reserve, not to %VO2 max. Med Sci Sports Exerc 1997;29:410-4. Fox SM ,Naughton JP, Gorman PA. Physical activity and cardiovascular health.III. The exercise prescription: frequency and type of activity. Mod Concepts Cardiovasc Dis. 1972;41(6):25-30. Haskell WL. Design and implementation of cardiac conditioning programs. In “Rehabilitation of the Coronary Patient”. (eds) Wenger NK, Hellerstein HK. New York: John Wiley&Sons 1978;149- 202. Hellerstein HK, Franklin BA. Exercise testing and prescription. In “Rehabilitation of the Coronary Patient”. (eds) Wenger NK, Hellerstein HK. New York, John Wiley&Sons. 1978;203-41. Franklin BA, Whaley MH, Howley ET. “ACSM’s guidelines for exercise testing and prescription”. 6th ed. USA, Lippincott Williams&Wilkins. 2000;151. Haskell WL. Health consequences of physical activity: understanding and challenges regarding dose-response. Med Sci Sports Exerc 1994;26:649-60. US Department of Health and Human Services. Physical activity and health: a report of the Surgeon General. Atlanta, GA: US Department of Health and Human Services, Centers for Disease and Prevention, National Center for Chronic Disease Prevention and Health Promotion; 1996. Ainsworth BE, Haskell WL, Leon AS, et al. Compendium of physical activities: classification of energy costs of human physical activities. Med Sci Sports Exerc 1993;25:71-80. Coyle EF, Martin WH, Sinacore DR, Joyner MJ, Hagberg JM, Holoszy JO. Time course of loss of adaptation after stopping prolonged intense endurance training. J Appl Physiol 1984;57:1857-64. Fringer MN, Stull AG. Changes in cardiorespiratory parameters during periods of training and detraining in young female adults. Med Sci Sports 1974;6:20-5. Knuttgen HG, Nordesjö LO, Ollender B, Saltin B. Physical conditioning through interval training with young male adults. Med Sci Sports. 1973;5:220-6. Kendrick ZB, Pollock ML, Hickman TN, Miller HS Jr. Effects of training and detraining on cardiovascular efficiency. Am Correct Ther J. 1971;25:79-83. Karvenon M, Kentala K, Mustala O. The effects of training on heart rate: a longitudinal study. Annales Medicinae Experimentalis et Biologal Fennial 1957;35:307-15.